A birth chart, also called natal chart, explains the positions of the stars at your time of birth in the place you were born in. Use our free birth chart system to calculate your personal natal chart and get an explanation what this means (or could mean) for you. For best accuracy, you need to enter the date of birth (DOB), time of birth (TOB) and place of birth (POB). The system will then calculate your daisy wheel graphic, your aspects graphic and also give you a full interpretation of your personality. Please enter the form below, making the right selections for your birth day and click on the "calculate" button. Select your birth data for your free birth chart! Enter the time of birth with the correct format. Put local legal time, do not adjust for summer time - it's automatic! Check this box if your time of birth unknown. We'll do a sunrise chart for you which places your sun on the ascendant. There is a large data base of localities. Enter at least the first 3 letters to choose in the list. If your place is not listed, try entering the nearest largest city. Average rating: 4.5 based on 7969 votes. The birth chart will show you some very important data which you should never forget. You are most likely to know your Sun sign already. The Sun sign is the most general information in your horoscope. However you should make special note of your ascendant (Asc), also called rising sign. 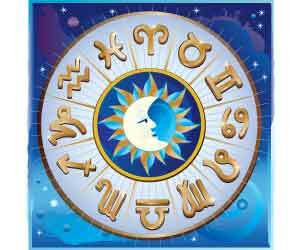 Never forget your rising sign as it give you more in-depth information about yourself. The Moon sign is also important as it reflects your emotions and intuitive side of your nature. In the Old Astrology, the Moon sign was a lot more important as the more general Sun sign. If you like, you can take it one step further and calculate the astrological compatibility between yourself and another person. 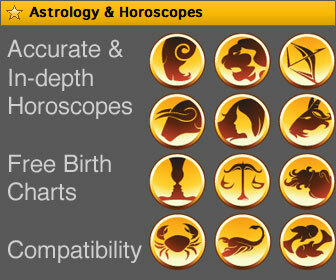 The birth chart program will compare your birth chart to the birth chart of your love and provide an in-depth analysis. When you read your zodiac horoscope in a newspaper or on the Internet, you should always read the predictions for your Sun sign AND your rising sign. We have many whom are just entering, or contemplating, entering a relationship request a reading about the "potential" of a proposed match, and even those in long term relationships sometimes need to see into their situation a bit deeper. This one deals with this topic specifically.